Amkor’s Metric Quad Flat Pack (MQFP) offers customers a legacy package with updated materials that extend the life of older board designs. The heat spreader option expands design margins on thermally challenging designs. Amkor employs up-to-date materials and processes to assure a successful, reliable performance of IC chips providing security and convenience. Some MQFP designs and applications require an added margin of thermal performance (power). Amkor’s easy and cost-effective solution is a heat spreader. This optional embedded thermal aid improves Theta JA as much as 15% (without external heat sinks or fans) by supplementing the heat dissipation path from the IC chip to the printed circuit board. 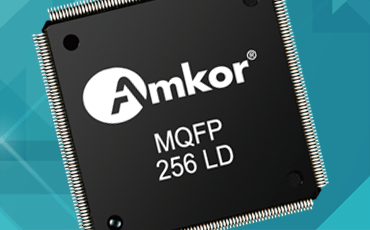 Amkor’s MQFP line is adapted to meet the increasing challenges of microcontrollers, analog controllers, ASICs, and other technologies. These packages fill application needs in consumer, commercial, office, automotive, computing, industrial and other product areas.